For many years engineers, designers, and biologists from the US Army Corps of Engineers and the Pacific Northwest National Laboratory (PNNL) have been working on optimizing acoustic fish tag design. ATS is proud to have been involved in this endeavor and has supplied over 80,000 acoustic fish tags for the JSATS program over the last ten years. 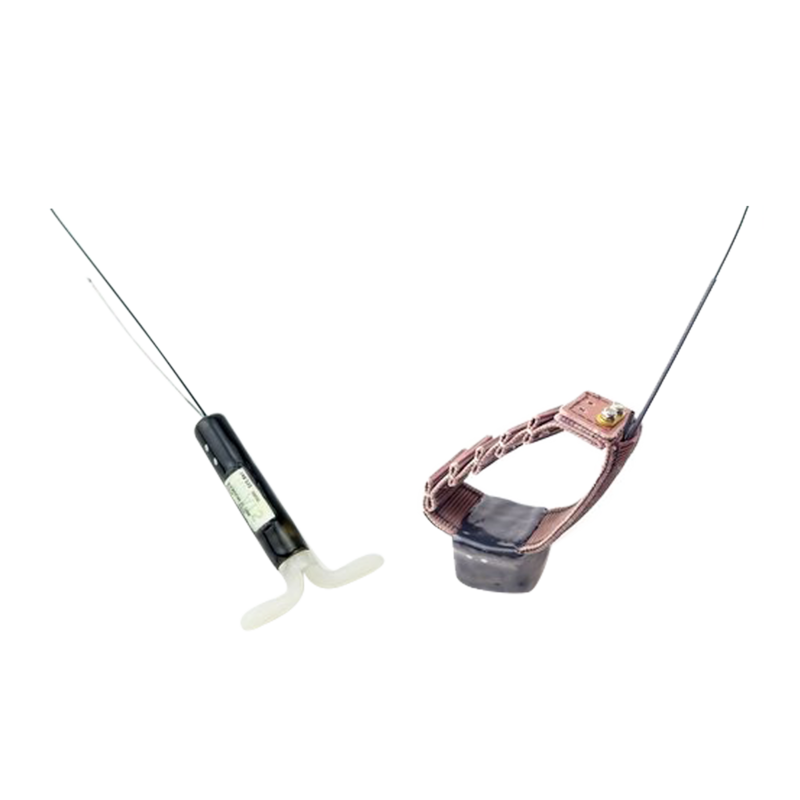 The latest advance in tag design is an injectable version (ATS model SS400) of the previous design, which was a surgically implanted tag (ATS model SS300). For those interested in designing, purchasing, and deploying an acoustic fish tracking system, we'd like to draw your attention to two comprehensive scientific articles on the new injectable acoustic tag, which is also JSATS compatible. The articles are from the Scientific Reports section of Nature.com. The first, An injectable acoustic transmitter for juvenile salmon, will give you complete details on the design and engineering behind the tag. The second article is titled Comparing the survival rate of juvenile Chinook salmon migrating through hydropower systems using injectable and surgical acoustic transmitters. We think you'll find both of these articles useful when considering your study design. Thanks to Daniel Deng, from PNNL, for bringing these articles to our attention. Below, actual injectable transmitter shown with a scale (a), and a Computer-Aided Design model of the injectable transmitter showing the actual shape of the transmitter (b). The Neolink system is powerful, and to some degree, complex. The system allows for two-way communication between a mother's GPS collar, a Vaginal Implant Transmitter (VIT), and a fawn collar. To help you understand the different programming aspects and special field checks that are needed when deploying Neolink equipment, we've put together a 15-minute video that you can see on YouTube. Check it out, and when you're ready to get an equipment quote, contact an ATS consultant! This article includes a link in the last paragraph to a published study in the professional journal "Environmental Entomolgy." The paper describes in great detail how the study was conducted, and its results. Our new Neolink Series consists of two new models. The first is the M3930U VIT Transmitter. VIT stands for Vaginal Implant Transmitter. This type of transmitter is expelled when the newly born fawn's mother gives birth. In its simple form, the transmitter begins beeping at a fast rate when this event happens. However, the new Neolink configuration adds the capability for the VIT to radio-link with the doe's G2110E2 GPS Iridium Collar. Once this link is established, the Iridium collar begins transmitting data to you, the researcher, starting with notification of the birth event. The second new model is the M4210U Expandable Fawn Collar. Like the VIT, this transmitter is also radio-linked with the doe's Iridium GPS Collar. Once the fawn is collared, its status is monitored, and you will receive alerts via e-mail. The alert types are for initialization (collar only), absence (out of radio range), birth (VIT only), and mortality (collar only). E-mail alerts include the collar ID, alert type, time stamp, and a GPS location. The alerts will be received within 20-30 minutes of event. In addition to the e-mail alerts, all of the Neolink event data is sent to ATS' hosted website (atsidaq.com). ATS' VIT wing design has been optimized by leading deer biologists. Our expandable fawn collar has field proven reliability, through over twelve years of use. . The typical life for the Neolink VIT Transmitter is 213 days at a 30 ppm pulse rate.The fawn collar life is 923 days at 30 ppm. Weight of the units is 28 grams, and 85 grams, respectively. The Neolink series will help you to save your aviation budget, since overfly's of your study area are no longer needed as often. When ordering Neolink equipment, your Consultant will only need the VHF frequency range you are working in. Keep in mind that the VIT and the fawn collar need an existing or new G2110E2 Iridium/GPS Collar, to complete the system. Mule deer researchers in Nevada are utilizing ATS’ G2110E Iridium/GPS Location Collar to learn more about mule deer migratory corridors and migration behavior. Currently, over 150 Iridium collars are deployed in Nevada, with more recently deployed in winter 2012-13. Researchers there are able to collect fixes as frequently as one every 15 minutes, or as few as one per day. The variable programmability of ATS' Iridium collars has allowed researchers to increase fix intensity during peak migration periods, and decrease fix intensity during times mule deer remain largely sedentary on winter and summer ranges. The collar's flexibility of programming, and remote programmability via e-mail command, have allowed researchers to learn several things about their mule deer including: summer range, winter range, migration corridors, migration timing, migration triggers, migratory behavior, foraging areas, and fawning areas. A couple of the migration corridors in Nevada have been demonstrated to be over 120 miles long, as shown in the image bottom left. Another question currently being addressed with the Iridium collars is “how do mule deer respond to novel disturbance along their migration corridor?” Hourly fix intervals have allowed researchers a better understanding of the potential energetic cost associated with navigating novel disturbance that bisect their migration corridors. The image at bottom right shows how five deer moving through a disturbed area moved differently before and after the disturbance than they did while moving through the disturbance. This type of information is essential to understanding the potential impacts of migratory corridor disruption. 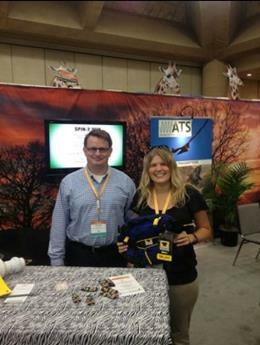 This application is just one way ATS' Iridium collars can benefit wildlife research. To learn more about how ATS can help you meet your research objectives, call your ATS Consultant, or go to the ATS website and request a same day quote today! ATS has worked closely with Normandeau Associates to help integrate the highly capable R4500SD Receiver- Datalogger into a new Condor early detection system. 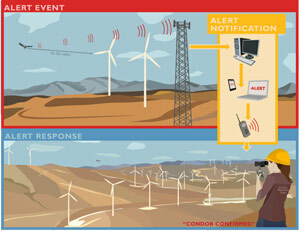 The system, known as ReCon (Remote Condor Observation Network), provides energy facility operations centers with real-time alerts of an approaching condor. 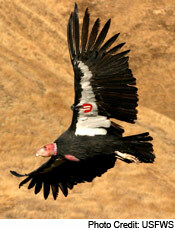 Because condor range expansion could one day lead to interactions with renewable energy facilities, the ReCon system will help to address this concern. The system has now been fully tested and proven effective, and is available to researchers from Normandeau Associates. 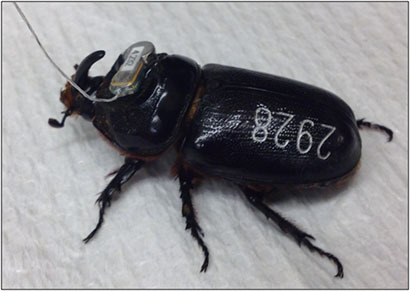 This is just one example of an integrated system using the R4500 line of standard and coded receiver-dataloggers that have been deployed around the world for the study of aquatic and terrestrial animals. The R4500 is also at the heart of ATS’ system for tracking deer and fawns using coded transmitters, which is in use throughout Colorado today. For more information on how an R4500 system can benefit your research, contact an ATS Consultant. 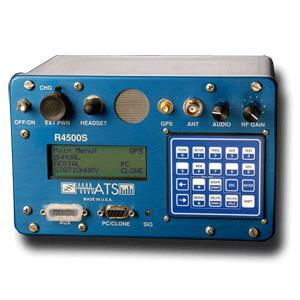 View of ATS model R4500SD Receiver-Datalogger used in the Condor Detection System, ReCon (pdf). 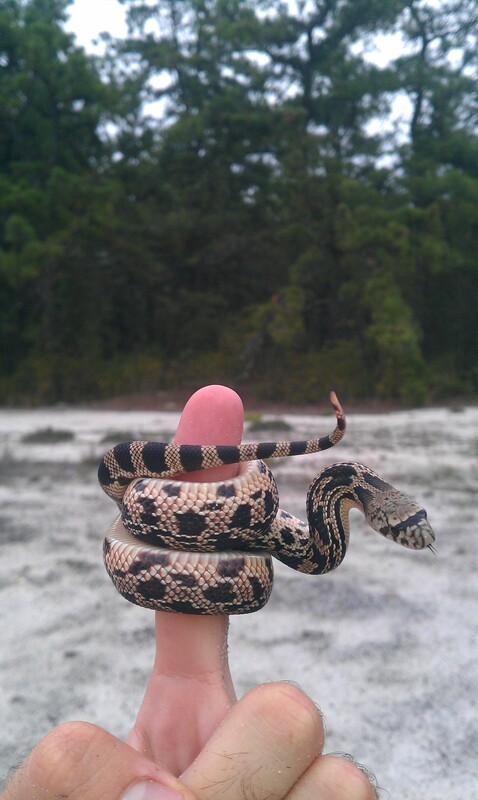 The Northern pine snake (Pituophis melanoleucus) is a state threatened species in the New Jersey Pine Barrens. Due to the cryptic and fossorial nature of this species, there is a lack of data on their early life behavior and dispersal. An understanding of first season life history traits from hatching to ingress is particularly difficult to monitor. Without field observations it is difficult to elucidate key developmental processes, such as shedding rate, feeding rate, diet preference, habitat preference, dispersal patterns, and the spatial ecology after leaving the nest. 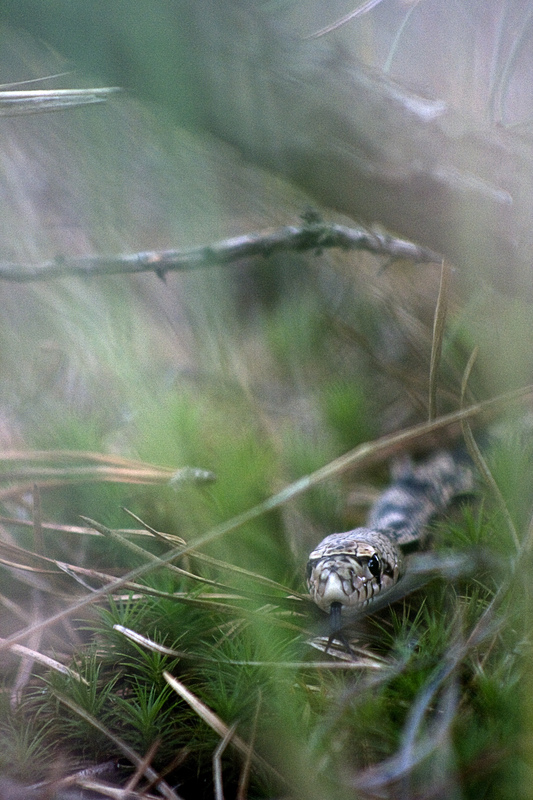 The Laboratory of Pinelands Research, under the direction of Dr. Walter F. Bien at Drexel University, has been studying the Northern pine snake for over a decade in collaboration with the NJ Department of Environmental Protection, and the New Jersey Air National Guard at Warren Grove Gunnery Range. Dr. Ron Smith and Dane Ward have collectively implanted and radio tracked over 70 individuals, investigating their spatial ecology and distribution. Until recently, the use of implanted radio transmitters was only applicable for fully grown adults, and external transmitters are not appropriate for semi-fossorial constrictors as they interfere with normal snake behaviors and readily fall off this active species. Last year, however, as part of Kevin PW Smith's doctoral thesis, we performed the first surgical transmitter implantation in eight P. melanoleucus neonates using six ATS model R1635 and two model A2414 transmitters. Both models were successful in tracking pine snakes in the first stages of life. In collaboration with the New Jersey Conservation Foundation at the Franklin Parker Preserve, we monitored neonate activity daily, and recorded environmental and behavioral data. This season, an additional ten neonates will be implanted with ATS model R1635 transmitters and tracked daily. Being able to make daily observations on a previously secretive and understudied life stage in situ has given us insight to a wide range of behaviors, including dietary patterns, shedding schedules, and micro-habitat usage. Each day of new data has helped fill in vital gaps of the life history of this species. This research facilitates our ability to better plan, recommend, and execute more conservation strategies for this threatened species. If you are coming up short on usable frequencies in your field studies, there is an answer. At ATS we've developed a coded tracking system that will allow you to track 100’s of terrestrial animals, using the fewest frequency channels. In addition to using fewer frequencies, tracking work can be accomplished more accurately, faster, and with better range than with standard VHF tracking systems. For many years fish researchers have used coded tagging schemes in their studies, allowing them to track thousands of fish in a compact area, such as a river. Realizing that terrestrial researchers were facing a limitation on the number of frequencies available in the spectrum, ATS engineers set out to develop a system to utilize a coded ID system to track animals on land. At the heart of the system is ATS' proprietary coding scheme and R4520C Receiver-Datalogger, which enables the researcher to track and identify up to 25 tags sharing a single frequency. While tracking in the field, whether on the ground or in an aircraft, one is able to choose an individual animal within the group, hear only that tag, and locate it with pinpoint accuracy. This receiver features digital signal processing algorithms and so provides excellent sensitivity, allowing target detections faster and at twice the range of other receivers. This model is much different then the standard models that make up the R45xx series of receivers. Below is a portion of the receiver's control panel, which shows a view of the keys used to hear or silence certain transmitter ID's. Not shown is the LCD display which will show up to nine of the frequencies within range. The other component of the system is the VHF encoded transmitter(s). Each transmitter is assigned a discrete code, (e.g. C-31), but will be assigned the same frequency (e.g. 164.100) on up to 25 other transmitters. If you'd like a more in depth explanation of coded tracking systems for terrestrial applications, a white paper is available on the ATS website. To learn more about how ATS can help you meet your research objectives, call your ATS Consultant, or go to the ATS website and request a same day quote today! 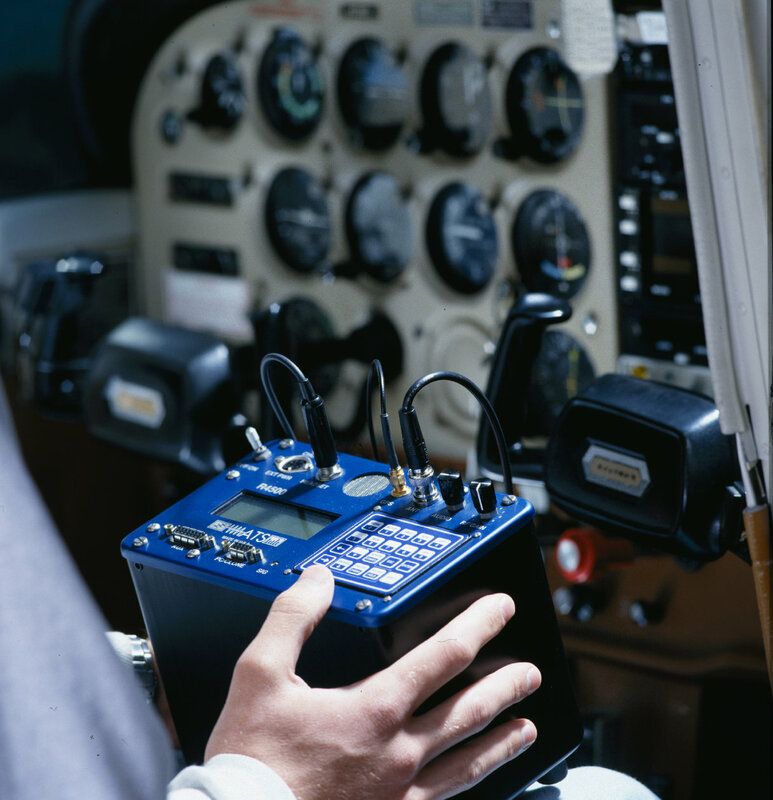 R4520C Receiver being used in aircraft cockpit. 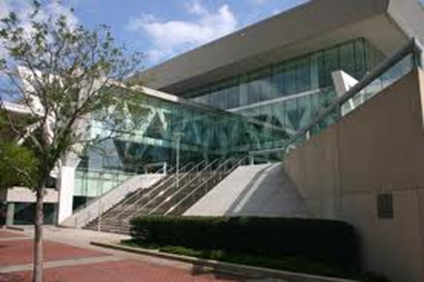 ATS attends from twelve to fifteen or more conferences and meetings throughout the world every year. For us, it’s one of the best ways to get in front of and interact with the most important people we work with: our present and future customers. Our latest conference, the ICCB, International Congress for Conservation Biology, took place in Baltimore in late July. Jon Adsem, ATS Consultant, and Peter Kuechle, ATS’ President, attended this conference, which included almost 1500 registered participants and over twenty exhibiting vendors; one of the largest conferences we attended this year. Also present at our booth was our South African representative, Pharm4Game Company. Yolanda Blacquiere and Marna Van Der Walt (Broekman), made the long voyage from Pretoria, South Africa to join us at the conference. Researchers and students from all over the world visited the conference, and all seemed very excited with the opportunity to mingle and learn from like-minded individuals. The ATS booth was quite busy for the duration of the conference. We spoke with a large number of researchers who were studying animals ranging from elephants to bats, whale sharks to dragon flies, and mountain sheep to snakes! 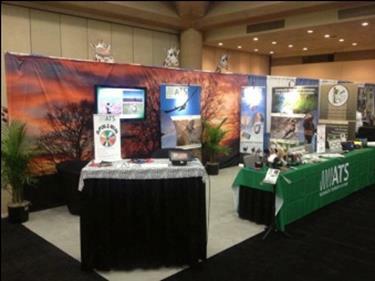 View of the ATS booth at the ICCB Conference. Is there a conference you go to that you think could benefit by having a telemetry provider like ATS there? Let us know please!